Thank you, to you and your family as well. I know you can do it. Writing without regards to fear is a must. Even for a chicken like me:) Have a great weekend. I can relate to those feelings, too. And I agree with that Madeline said—feel the fear and then do it anyway. That's what I strive to do. That's why I pick up that pen every day and work toward publication. Hey, that was my fear after writing my first book! I would be a one-hit wonder. I had three more published, so if I can produce more quality work, I guarantee you can. Thank you, Alex! I know I just have to keep at it. Have a good weekend. That's a huge difference! So glad your fears don't keep you from writing. LOL, I haven't finished my first book yet and I worry about that. It is heartening to hear that you no longer let your insecurities keep you from writing. Mine don't stop me, but they bump and grind and drag and procrastinate, grrr... I guess my biggest is I can't do it all and no one will want to read it and it won't be any good. Hey Juneta. Those insecurities does weigh one down. But write that first book anyway and set it loose in the world. There is always someone who will read your book, as I have now learned. You can do it! As long as your doubts aren't stopping you from writing, you're doing fine. Best of luck! I think every newly-published author feels this way, Murees. At least the ones I talk to. The only ones who don't are those who write for a cause or to purge. I bet you'll feel differently after your second publication! Thank you, Jacqui. It's a relief that I'm not the only one who feels this. Have a great weekend. You're not a fluke. If you're writing a new story, that's proof. Keep it up! Thank you, Hilary. Have an amazing 2016. What a great way to start a new year, Murees. We would all do well to emulate you--not letting those insecurities get us down. 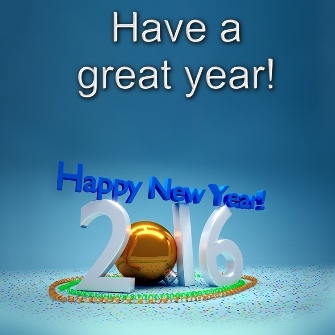 Best wishes for a great 2016. You're not a fluke. You're an amazing, talented writer. See, I just want to get to where you are. I keep reading that even when we finally get there, the doubts never end. We will always worry about something. The next book. The reviews. I see that the process never ends, but that can be a good thing. A little worry, doubt, insecurity makes us work that much harder to continue producing good work. I have all the faith in the world in you. Happy New year. Wishing you a very prosperous, healthy, happy and successful 2016. I don't think that doubt ever goes away but we can use it to our advantage. It spurs us on to try harder, instead of being complacent. Here's to many more great achievements - which definitely won't be flukes! Thank you, Nick! You are awesome. Happy New Year, Murees! I completely understand your insecurity - just yesterday I was thinking, 'my first book was actually rubbish, maybe I shouldn't have published it, but used it as writing practice instead.' But this year, I'm not letting my fears stop me. I've lived with my doubts for too long, so as far as I'm concerned, they can take a hike this year ;). You are an amazing writer - and don't tell yourself otherwise! You totally have what it takes to be a full-time author, I just know it :). Happy New Year! Glad to hear your fears haven't kept you from writing. It's sad when our fears keep us from doing something we love. Perhaps there's comfort in knowing we all feel that way! 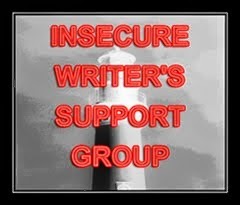 That's why the IWSG exists, I guess...there's security in our combined insecurities. Definitely. Knowing that I'm not the only one who this happens to does help. At least you are still writing...that's what matters! Thank you! Will do:) Every bit helps, right? Maybe we should start insecurity journals. So many silly insecurities sweep through my mind on any given day, ones I don't think to share for IWSG, because they were fleeting. I've had the same concerns. I just need to start on my next novel while I'm editing, and hopefully that would help.